As you may or may not have heard, Southern California just saw its longest streak of bad air in decades — 87 consecutive days of smog. So it’s a good time to try and turn things around, and what better day to commit to improving our air quality than on Clean Air Day? Join fellow Californians on Wednesday, Oct. 3 to clear the air as part of California’s first Clean Air Day. This unified day of action will focus on the simple solutions each of us can do to improve air quality, including taking public transit, walking, or biking instead of driving solo. 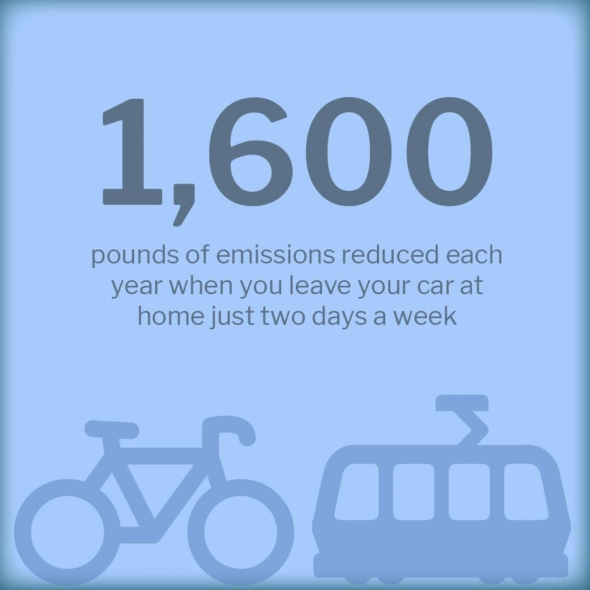 Transportation accounts for more than 41% of the emissions in California, and your personal transportation choices can make a big difference! Take the Clean Air Pledge and help clear the air! When you take the pledge, you’ll find just a few of the many ways you can help improve local air quality. 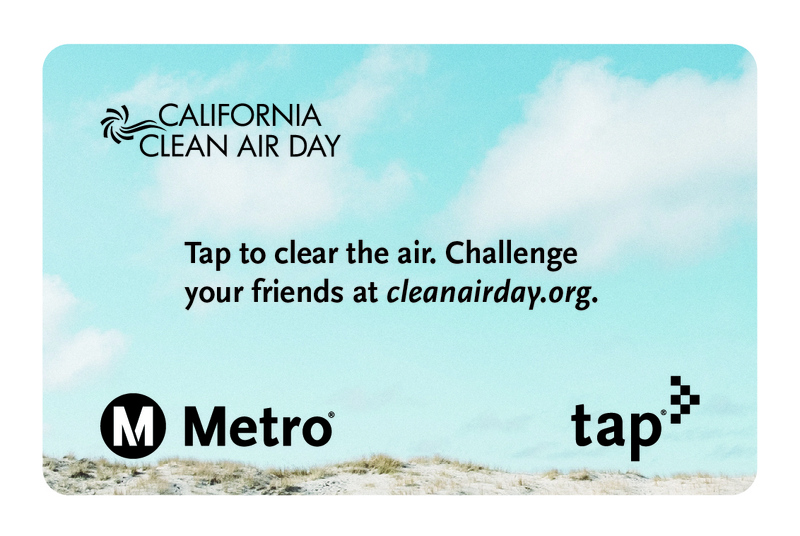 To celebrate Clean Air Day, commemorative Clean Air Day TAP cards will be on sale at Metro Customer Centers starting Wednesday, Sept. 26. Supplies are limited so get them while they last! The cards will not be available at any other locations. Several years ago while traveling from Hollywood to Div. 15 via the 101 then 170 freeways I counted 125 school buses traveling in the opposite direction. Perhaps if we limited the number of students bused from one school to another for no apparent reason smog could be reduced. How many times have we been stuck behind a school bus that is omitting huge clouds of black smoke. Speaking of TAP cards: What is the actual cost to Metro for a TAP card? Just the card, not to pay for employees who are working anyway to distribute them. There are way too many people who are not using them—-many poor. The last time I bought a Tap card at Union Station customer service, the lady said I had to put $5 of stored value on the card. Why can you put $1 on a tap card at the TVM, but have to put $5 at Union Station?